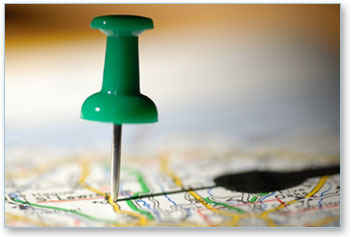 Local Search-Get on the Map - "Coffee Break Marketing" The Top Tools for Marketing Your Services! Unless you are marketing your professional service to a global or nationwide audience, the chances are that your online presence has always been focused on attracting clients within a particular geographic region. The purpose of local search marketing is simply to refine your existing campaign so that potential clients see your business at the top of the list when they are searching for professionals in their area.